I'm Goma knock you out! Momma gonna knock you out! Shonen Ashibe: Go! Go! 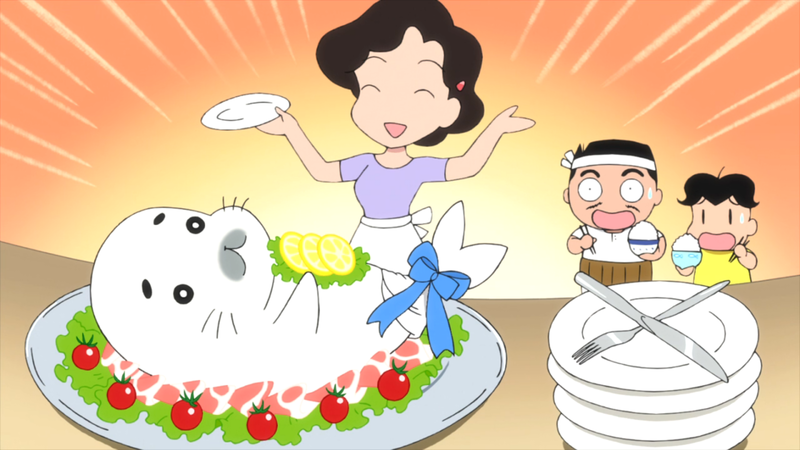 Goma-chan is about Ashibe (a shonen) and his pet Goma (a goma). Ashibe's family adopts this adorable little seal after finding him in the middle of the road and they decide to name him Goma (how original). Goma enjoys water, ice-pops, and causing mischief. See this suave seal steal the hearts of all those around him. Go! Go! Goma-chan!